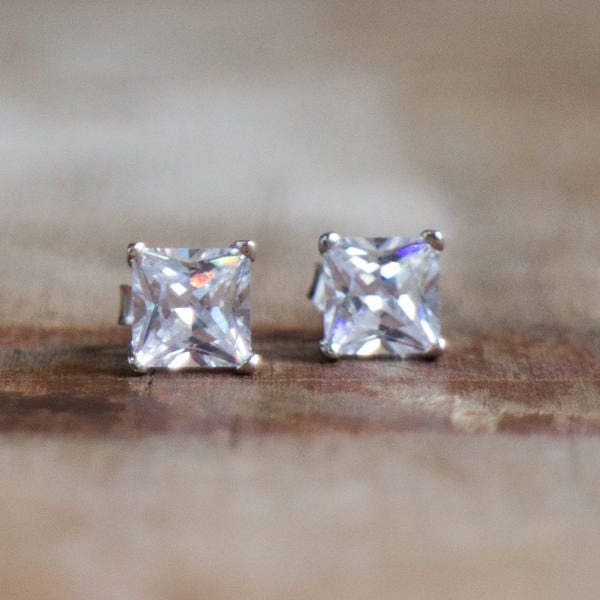 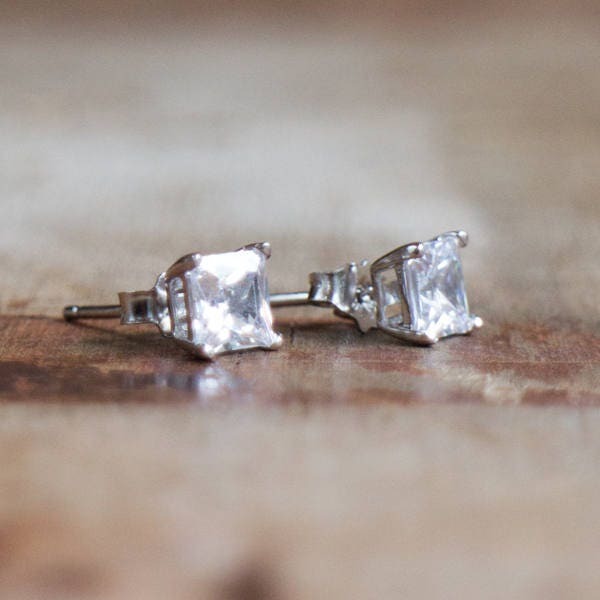 Sparkling square Cubic Zirconia stones in 925 Sterling Silver claw settings. 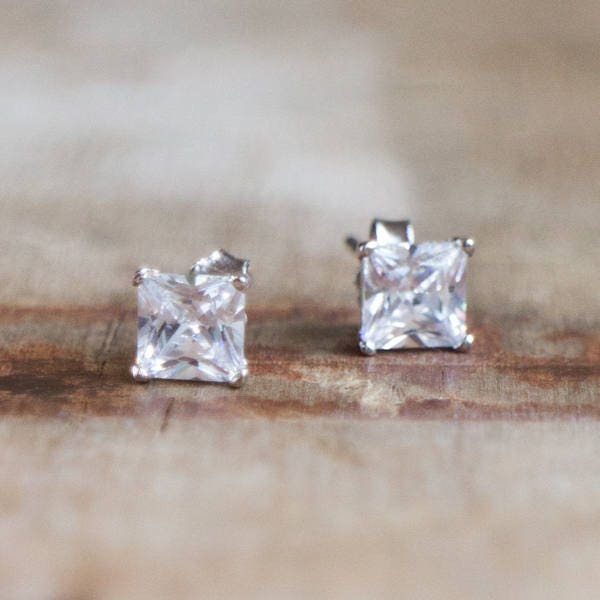 Faceted CZ stones are creating a beautiful sparkle, reflecting the the light with their facets. 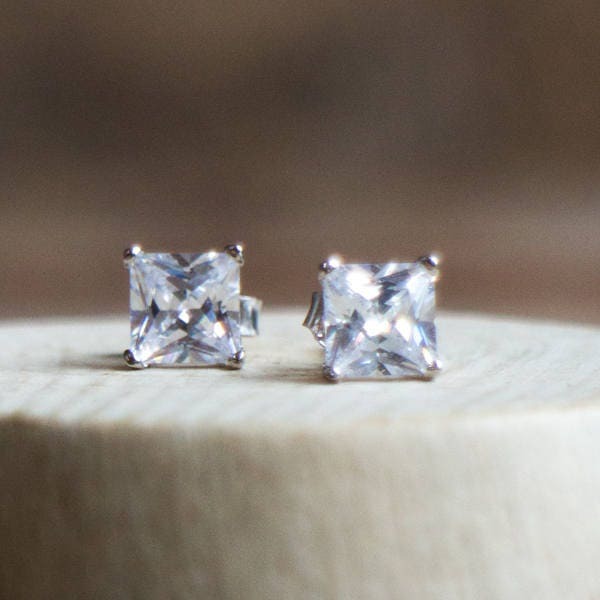 •Modern, simple, elegant! 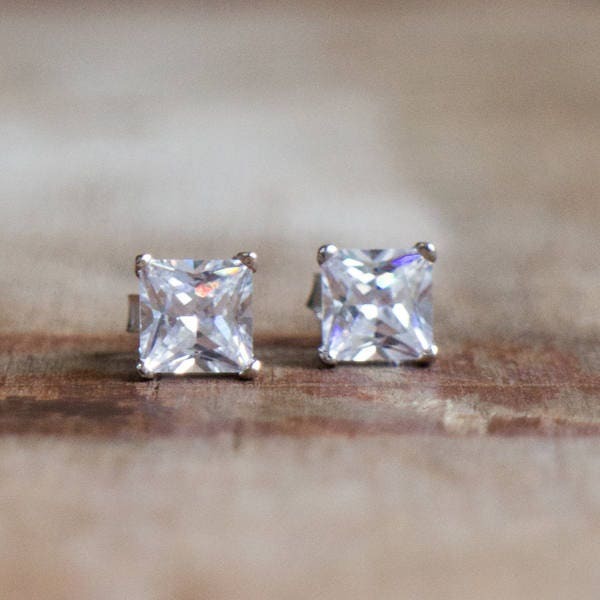 Perfect everyday sparkle! 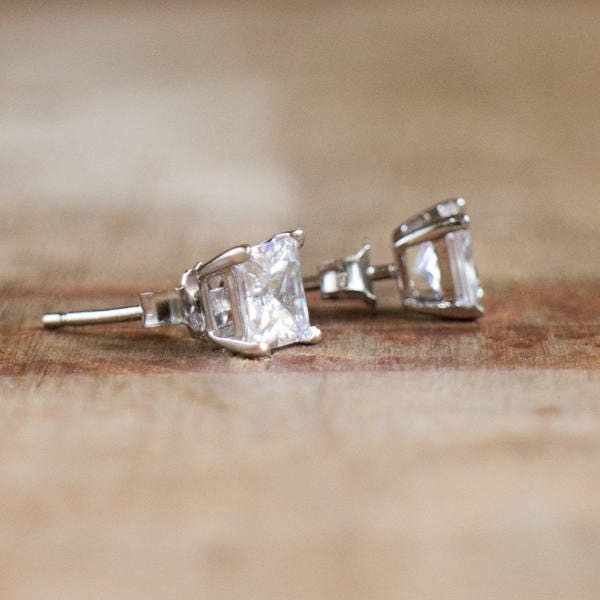 •Earrings measure 5mm in diameter and are 5mm thick. Please see the third image for the scale. 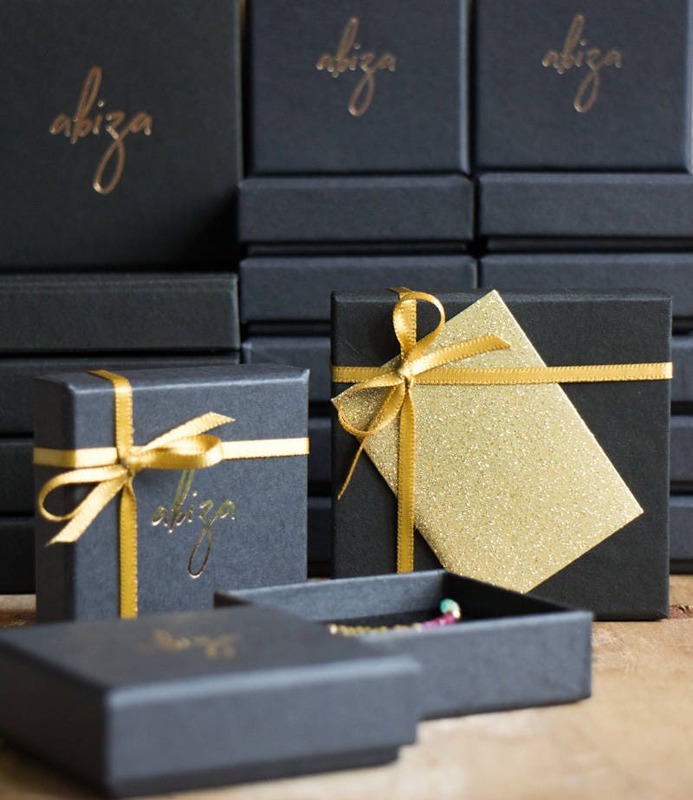 The product is lovely and is as described, really love the packaging as well, it's gonna be a great Christmas gift!